A year after the inauguration of the first MeerKAT antenna, the third and fourth antennas are now in place – right on schedule! Construction of the MeerKAT radio telescope at Carnarvon in the Northern Cape is progressing well, as the joint project between SKA South Africa and the Department of Science and Technology continues to take shape. The schedule remains challenging even though many of the technical challenges associated with a project of this scale have been mitigated. It now moves into a phase where the installation rate of antennas will be increased. Tests on the first two antennas have shown that the MeerKAT will perform significantly better than the baseline requirement. This has been achieved by way of engineering optimisation, not cost increases. Both the sensitivity and the frequency coverage of MeerKAT phase 1 have been increased, in line with the goal set by the project team – to establish MeerKAT as the most sensitive radio telescope in the world for the frequency bands in which it operates, until the international SKA project is commissioned. The MeerKAT will commence doing early science in 2016 with 32 dishes and start its full science programme in 2017. Five years of observing time on the MeerKAT has already been allocated to some of the leading radio astronomers in the world. 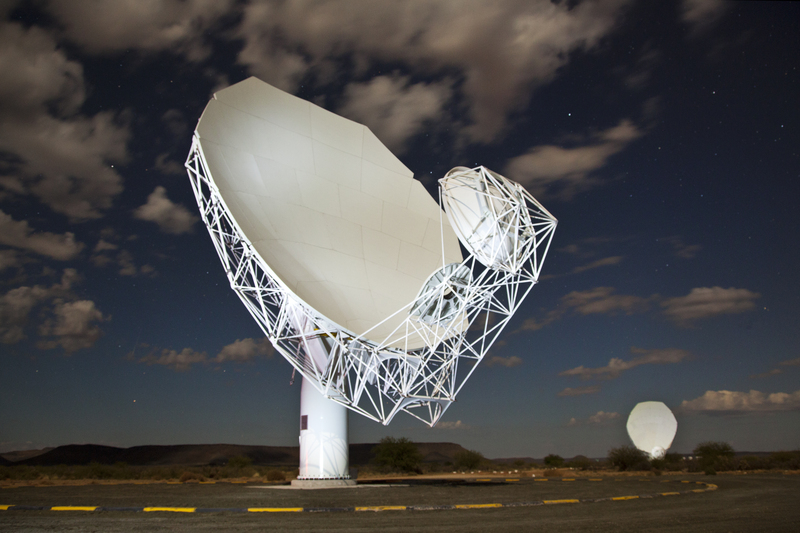 At the completion of the science programme, the MeerKAT will be integrated into the rest of the SKA phase 1 dishes, with another 133 to be added. The result will be an instrument with unparallelled sensitivity, capable of investigating some of the fundamental questions of the universe.